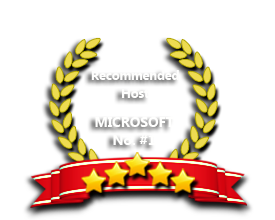 ASPHostPortal windows hosting is compatible with the DotNetNuke 7.4. We offer DotNetNuke 7.4 based hosting plan from just $5/month (see our DNN Hosting Plan). DotNetNuke 7.4.0 includes a robust workflow and versioning API which is built around the DNN Content Item store. DNN 7.4 supports localization for 21 different settings which will provide greater control when implementing multi-language sites. In DNN 7.4 considerable effort went into refactoring many internal classes to provide a better foundation for future development. The PortalSettings classes and the EventLogs were overhauled to improve the overall architecture and to pave the way for future enhancements. While most people will never see any of these changes, this work is critical to maintaining the long-term health of the platform. ASPHostPortal.com is a windows-based hosting service provider. ASPHostPortal.com offers the most reliable and stable DotNetNuke 7.4 web hosting infrastructure on the net with great features, fast and secure servers. Our hosting can be done via USA, Amsterdams or Singapore based server. Depending your requirements, we can scale so we can deliver the right service for the right price. All of our windows hosting plan supports DotNetNuke 7.4 and you can install DotNetNuke 7.4 with just one click. Our support team is extremely fast and can help you with setting up and using DotNetNuke 7.4 on your account. Our customer support will help you 24 hours a day, 7 days a week and 365 days a year.